It’s easy to think of growth as more: More traffic, more leads, more customers. While up-and-to-the-right movement is obviously part of growth, that’s not the full picture. At HubSpot, we believe that how you grow those numbers is just as important — sometimes even more so — than what they are. Manically chasing growth at the expense of the customer isn’t growth at all — it mortgages the future. In today’s hypercompetitive market, the best point of leverage businesses have is their customer experience. Creating a frictionless research and buying process layered on top of support, service, and a great product makes your customers successful. This also creates goodwill that feeds into a virtuous cycle of customer-driven growth through referrals to their professional networks and expansion opportunities. We know this isn’t easy — it’s what we help our customers do every day. We’ve found a like-minded team to work with at Amazon Web Services (AWS), with their relentless focus on customer experience. Today, we’re excited to announce that HubSpot has entered a three-year commitment with AWS to help startups grow better. Time and time again, we’ve seen that the habits you form in the early days of a business can make or break your business years down the line. For that reason, we’ve always been committed to investing in early-stage businesses, something we formalized a few years ago through the HubSpot for Startups program, which includes preferred pricing on the HubSpot Growth Suite software, executive mentorship, educational content tailored to startups, and other startup-friendly perks. Beyond habits, two key factors power your customers’ experience: Resources and technology. Startups are frequently pressed for time and money. HubSpot already provides AWS Activate members with access to HubSpot for Startups. As of today, AWS will also provide Activate memberships and credits to participants in the HubSpot for Startups program — so startups can get the resources and support they need to grow. Another linchpin of growth is the technology that powers your business. It’s not always possible to see into the future and understand how your needs will change as you grow. Therefore, it’s crucial to choose platforms that have a proven track record of scaling as their customers’ needs evolve, and have a robust integrations ecosystems so you’re able to connect all your systems. To that end, we’ve heavily invested in HubSpot’s Connect program, which enables our customers to integrate their HubSpot instance with over 200 technology partners. 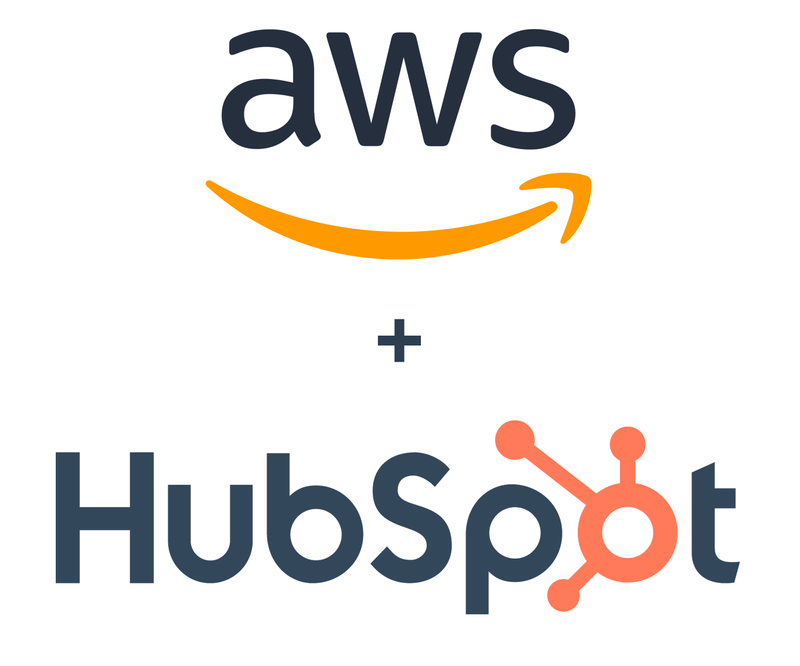 Starting today, AWS will support HubSpot’s Connect program by co-investing to build an ecosystem for HubSpot partners, including content tailored to developers. HubSpot has been a longtime AWS customer, and we’re already using the combined power of our technology to both serve HubSpot’s customers and make it easier for them to create better online experiences. We’re powering GrowthBot, our sales and marketing digital assistant, with Amazon Lex and giving customers the flexibility they want to build lightweight integrations from within our Bots app, powered by AWS Lambda — just two of the ways that we’re working better, together with AWS. We’re very excited about how this collaboration will provide AWS and HubSpot customers a low-cost, easy-to-use infrastructure that will enable them to scale and grow their businesses in a customer-first, sustainable way.